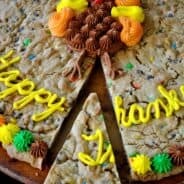 What is a shortbread cookie? I get asked this often, believe it or not. Traditionally, shortbread cookies are made with 1 part butter, 2 parts sugar, 3 parts flour. Easy right? That said, I’ve got a list of about half a dozen other shortbread recipe ideas…that’s the great thing about this cookie. You can customize it so easily! Do you have any flavor suggestions for me? My husband has a coworker who calls them biscuits. Cookies, Shortbread, Biscuits…it’s all delicious to me! First, beat your softened butter with the powdered sugar, vanilla, and almond extracts until creamy. This takes about 3-4 minutes. 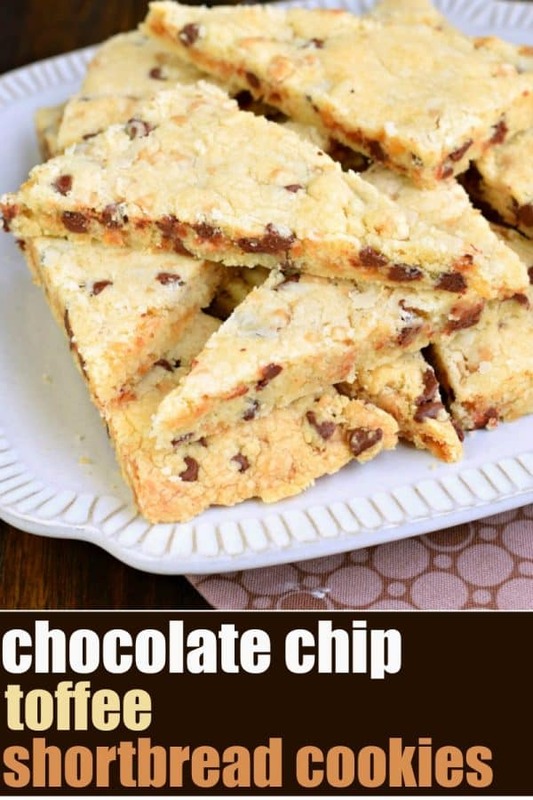 Add in your flour, mini chocolate chips, and toffee pieces. Blend until fully combined. The mixture will be crumbled and soft. Pour your dough onto a parchment paper lined baking sheet. Using your hands, pat the dough into a large rectangle. The dough may be slightly crumbly at first, but keep patting until the dough is the same thickness throughout, and you’ll want it to measure about 12″x 10″, and be about 1/4″ thick. In a 350 degree F oven, bake cookies for 20-25 minutes. The edges will begin to lightly brown. 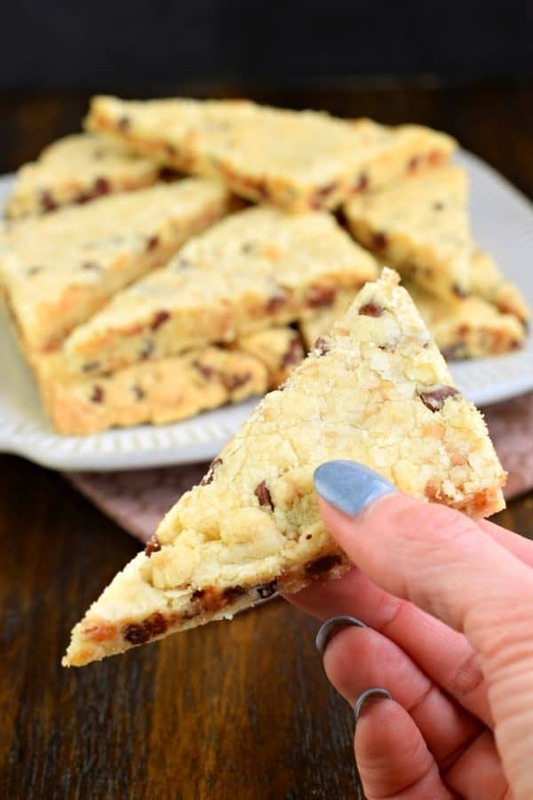 Remove from oven and immediately use a sharp knife to cut the cookie bar into strips. I cut large rectangles, then cut them into triangles for a fun shape. Allow these cookies to cool completely. Store in an airtight container at room temperature for up to 7 days. ENJOY. A: Typically if you’re finding that your cookies are spreading, I suggest you chill your dough before baking. This allows the fats (butter) to re-solidify making it more difficult to spread in a short baking time. A: This is normal. For the most part. First, double check your ingredients to make sure that you have used the correct amounts. Second, remember there are no liquids, so the dough will be more crumby. 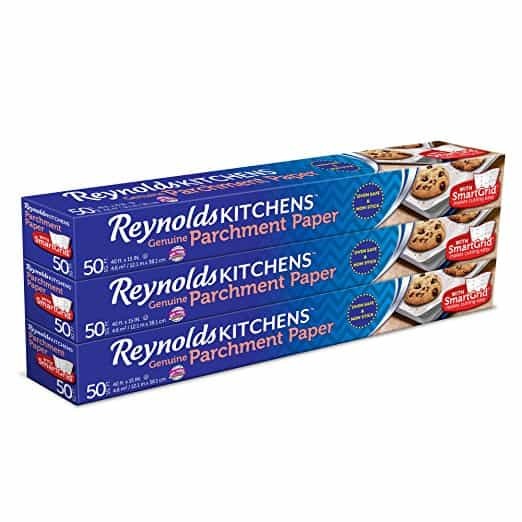 When you drop the dough onto your parchment paper, if it’s still crumbly, use your warm hands to help press it back together (if your hands are cold, run them under some warm water for a minute!). 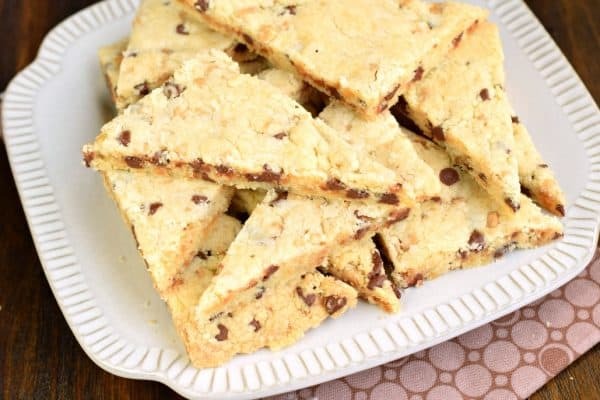 These Almond Bars have a shortbread-like texture with a sweet almond glaze on top! Love Twix candy bars? My Twix cookies are out of this world, and get devoured whenever I make them! You may want to double the batch! 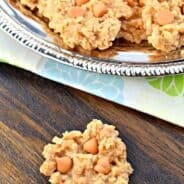 You can even make Twix Cookie Bars if you want to save time! Mexican Chocolate Shortbread Cookies from Recipe Girl are a nice chocolate shortbread cookie with a hint of spice in them and perfect with a scoop of good vanilla ice cream. 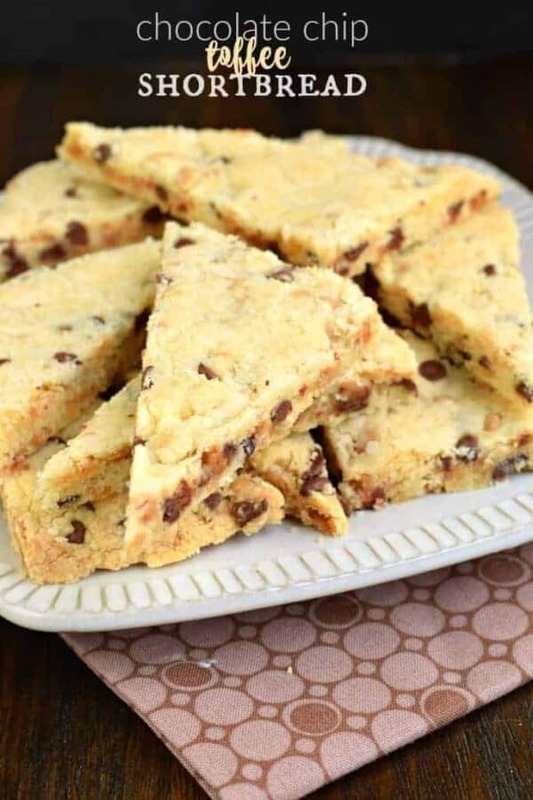 A simple slice and bake shortbread cookie loaded with buttery flavor, vanilla beans and pistachios. Pistachio Shortbread Cookies from Saving Dessert. 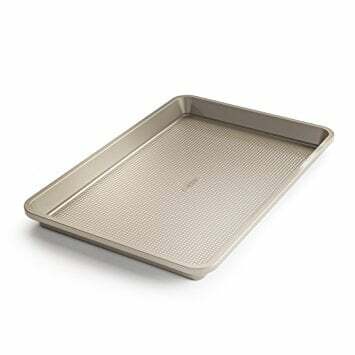 Preheat oven to 350 degrees F. Line a 15x10 inch baking sheet with parchment paper or silpat. Set aside. 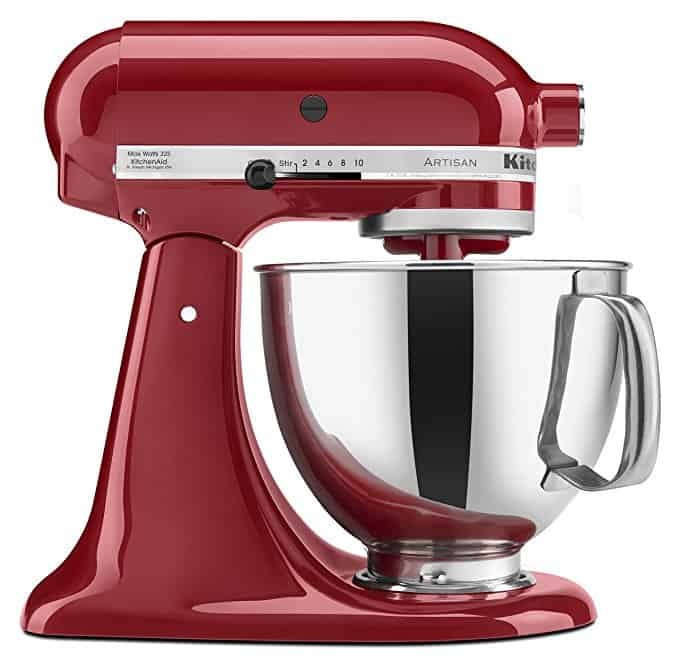 In a large mixing bowl, beat butter with powdered sugar, vanilla, and almond extracts until creamy. Add in flour and mix until combined. 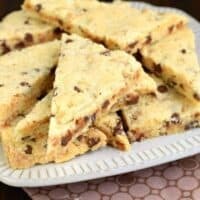 Fold in toffee and chocolate chips. Mixture may be very crumbly. Use your hands to combine into a ball, the warmth of your hands will bring it together. Drop dough onto center of baking sheet, using the heels of your hands, press the dough into a large rectangle. You want the dough to be the same thickness throughout, so keep pressing until you have a rectangle about 12x10 inches and about 1/4 inch thick. Bake for 20-25 minutes, until edges begin to lightly brown. Remove from oven and immediately cut into strips (using a pizza cutter or sharp knife, going slowly). You can cut into triangles if you prefer. Cool completely. Store cooled cookies in airtight container at room temperature for about one week. ENJOY. 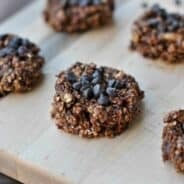 LOVE everything about these cookies! 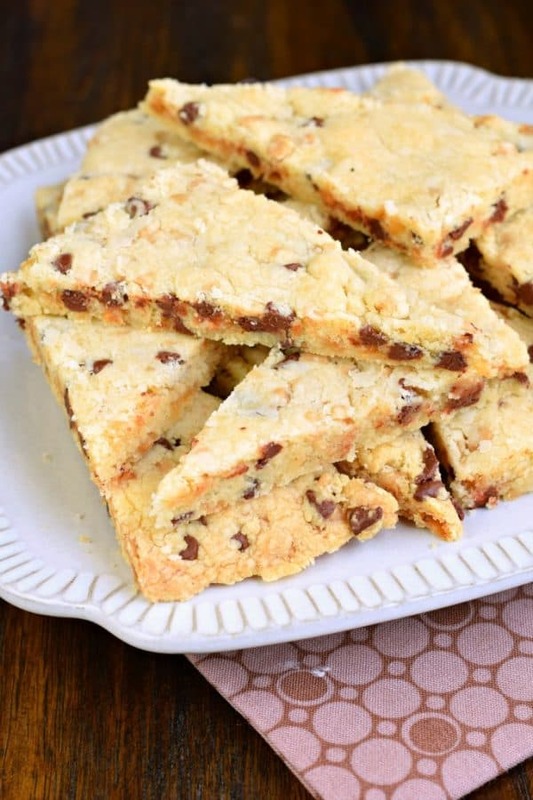 Buttery and crisp and loaded with toffee and chocolate chips – shortbread perfection! totally yummy, can’t wait to try these!